I've always thought that summer is the best time of the year. So much to love...sandy walks at sunrise, afternoons floating in the pool and hot, starlit nights on the covered porch are my favorite. Of course, right now my backyard is still covered in snow, but a girl can dream, can't she? Fake it till you make it is what I always say. Actually, to help myself really get into the spirt of things, I took it up a notch this weekend and we went to the beach. 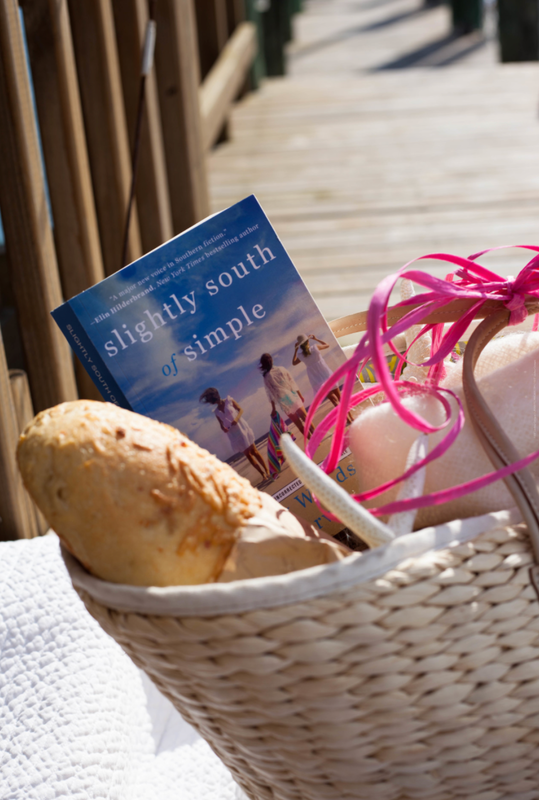 We shopped, took in the salt air and I even did a little summer reading. Kristy generously sent me a copy of her book. This post contains affiliate links. Yup. 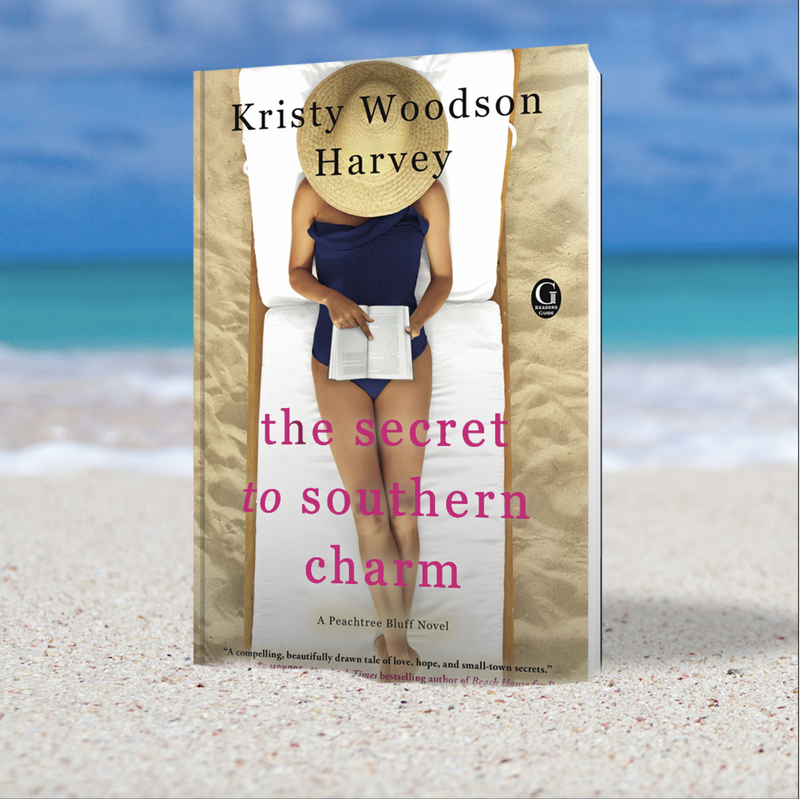 My good friend Kristy Woodson Harvey just released her new book, The Secret To Southern Charm and it's fabulous. I'll be honest with you, I'm not great with book reviews. I'm always afraid I'll give away too much, so I'll let the book do the talking itself. climb out of bed, much less summon the strength to be the parent her children deserve. that secrets from her past will come to light. she might finally be able to have it all. Makes you want to start reading right away, doesn't it? Well, you actually can! The Secret To Southern Charm is being released all over today. You can get your hot little hands on a copy right now. Or you can enter my giveaway. Just leave me a comment below, you will be entered to win the book and a beautiful Lily Pulitzer candle, too. A good read, a faint light. Will you be grabbing a copy? 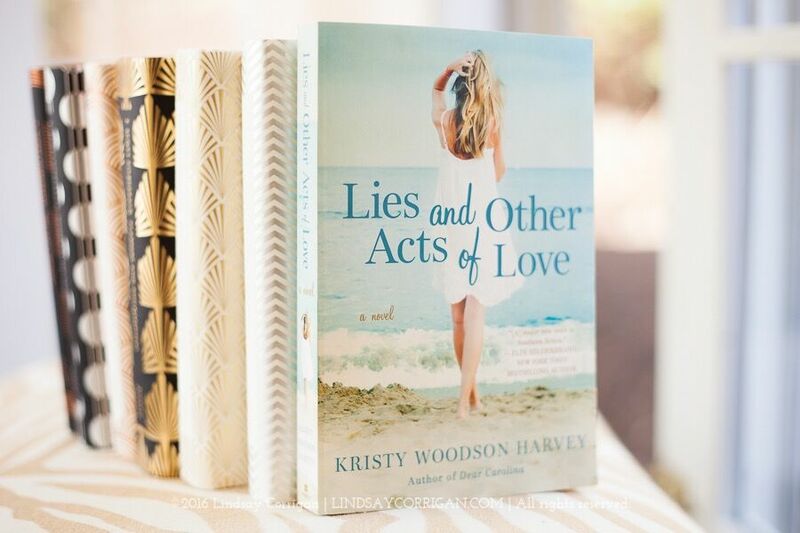 Have you read Kristy's other books? Well you have me interested . . .
just in case I am a winner of The Secret of Southern Charm . . . Thanks Kim . . . for the possibility . . . Your posts are beautiful and give me hope! You are too, sweet, thank you so much and you are entered! Sorry,I typed the wong name! See Kim, you like the South! Come visit! We can be 2 Yankees taking in the sights. The book does sound interesting. Sign me up for the drawing! 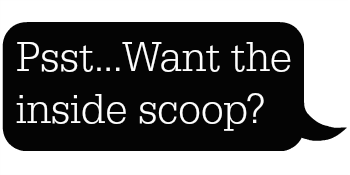 Sounds interesting and now I’m curious. Plus anything that sounds like summer or even warmth will be welcomed on this gray, rainy day! I am right there with you, Barbara!! Even rain is better in the summer! Ahhh....total agreement that summers are the best! We're still waiting for spring to arrive here in Iowa. Even though the calendar says "April", Mother Nature is sending us snow today. Ugh. This is a new author to me, so I need to jump on that wagon and get her books read! I'd love to read this one on a warm summer night....or a cold spring one! Thanks for the review, Kim! We had snow yesterday, Kathy. Ugh. I am so over it. Kristy is a wonderful author. I am not generally a fiction reader and I have been swept away by all of her books. Especially this series...Thanks for entering! This book sounds like a relaxing beach read even though we had 3 inches of snow yesterday. Please put my name in the drawing. I love to read and would love to have another author to support! Thanks for the chance to win. Sounds like a great series, being from a family with four girls I think I can relate. I am from a family of girls and I have girls, Laura, so you are right, it was super relatable. Sometimes a little too much so! Ha!! You are entered! Ok Kim you have me intrigued. I think I will have to get Slightly South of Simple to get acquainted with the characters before reading this next one. 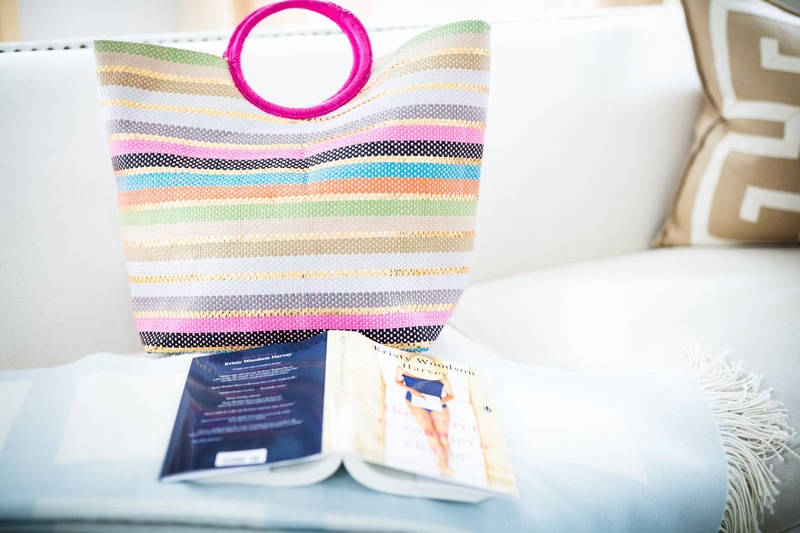 I am like you a summer girl and I just started to think about starting to get some good reads for summer. Dreaming of being on my lounge chair in the backyard (which right now is a mud pit) and reading away and soaking up sunshine. We midwest girls can dream too. Thanks for the chance Kim. You are so sweet and generous with your giveaways. Have a great week. Oh Kris, between the mud and the snow, I really am tired of this lingering winter. Time to pack up and move on!! And I love giving things away. It's a great feeling to make someone smile. Isn't it fun to win? You are entered! There is no snow here by the "rivah" in Virginia, but Spring has yet to take up permanent residence. 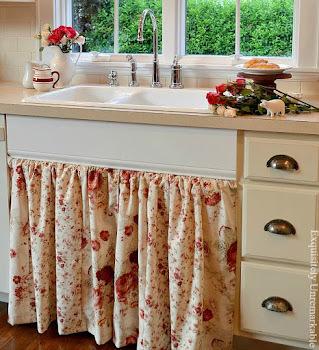 I love all things southern, and your giveaway certainly fits the bill! Thank you for the opportunity. I am so happy to be able to give this away, Sandy! You are entered and I hope spring decides to unpack and stay a while in both our neck of the woods!! That sounds like a fun read & I do like to read when I have time. Sign me up for the giveaway Kim! You're all signed up, Florence! Good luck! Kim, we're midst our 2nd snow storm in the last four days. S'posed to stop tomorrow, but then visit again on Sunday and Monday. A book about the South would be a refreshing break. Oh we're expecting more snow this weekend, too, Cheryl. I am dreaming of the beach more than ever. Stay warm and you're entered! And we are in the midst of our 2nd snow storm!! And another on the way! Up to 18 inches in the past two storms. They plan to re open our Cross Country ski trails! Oh no! I hope you at least get to enjoy the trails!! I am not a big fiction reader, Judy, but Kristy has a way of totally charming me with her words! Yes! Everyone needs a little beach time. Yes! I love books... always looking for a new author to read. Thanks for sharing. They're both really enjoyable reads, Doris! Ooh, I love a good fiction book and I don't do nearly enough reading these days. I'd love to win this book and look forward to reading her other books as well! You're entered Toni! Good luck!! Well goodness gracious enter me too please:) However, this book is going to the mountains with me! You're in, Jemma. And beach or mountain, a vacation read is awesome! This book looks like the perfect summer beach read Kim! I love these types of books to read while relaxing in the yard, away on vacation or at the beach. Thanks for the chance to win your lovely giveaway. I'm hoping that this summer read will summon some really warm summer weather!! I think I would pick that book up for the cover alone. Love me a pretty cover :). I loved Kristy's first book and would love to read and win her 2nd one too. Bless you for this chance from the Bluegrass state where we started week with tornado warnings and ending it with a winter storm.. possible four inches. I escape often to the beach through books. This book looks great as well as the first one too and my family calls me queen of candles.. and this one is lovely. Thank you again. Oh no, this weather has been wicked all over, hasn't it. I hope you are safe and you are entered! She is an awesome writer! Thank you for your lovely description of Kristy`s book. Thanks Kelley. It's a really good story! It's a good one, Connie!! I would love to enter you. If you see the response to this comment, please leave me your name and contact info! Thank you for the chance. Love South Carolina charm. Well, I'm not too late for this one! Sounds like a wonderful book to read, and I remember you mentioning the other book that she had written. Our snow here has mostly melted, and everything is a dull brown right now while we wait for green grass and blooms! The season of "springter" not terribly delightful, but necessary! We are getting rain today and tomorrow. I look forward to the days of warmth and sunshine too :) Hugs to you today! Oh I hope it shows up soon, Marilyn!! I haven't read her first book but would love to. I was drawn to this cover simply because my name is Kristy, too. That's as good a reason as any! Good Luck!